Later in 4th grade, I add dotted eighth/sixteenth notes and 6/8 patterns. 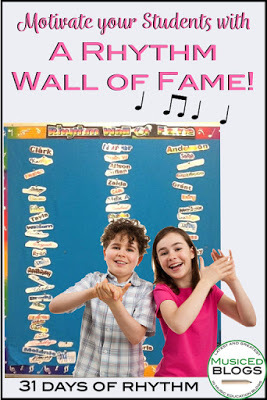 I don’t test them on those two rhythms for the rhythm wall of fame, but they are ready by the end of the year to start recorder. I have a big pile of rhythms we review and one student at a time, one per class period, pass off the rhythms by reading the stack of rhythms in order to get their name on the Rhythm Wall of Fame. It is a big deal to get your name on the special bulletin board. At the beginning of this time, I show the students various colorful fonts that I found on an old program I have called Scrapbook factory. 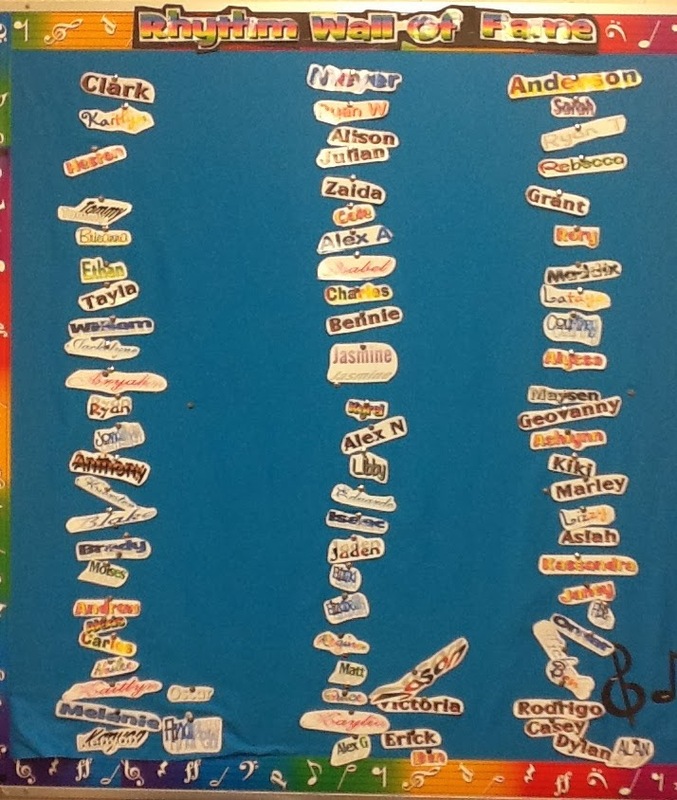 Each student chooses a font for his or her name. I spend an hour or so making all of the students’ names in his or her chosen font. Then I put each class’s names into a ziplock baggie and randomly choose a name a day. 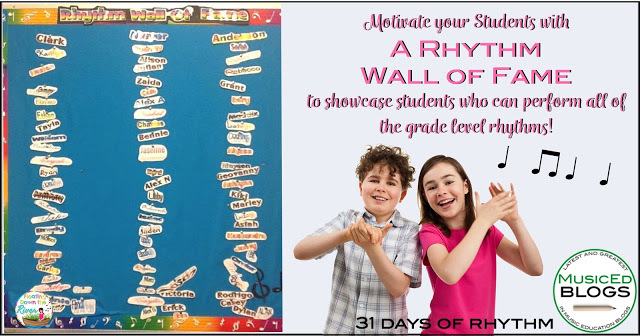 When a student passes off the rhythms, he then puts up his name on the “Rhythm Wall of Fame” and gets to choose a small prize I have, such as a bouncy ball or a porcupine character. When they are all finished, we have a “party” where, because I am from Ohio, I bring in candy “buckeyes” and play them some cool clips from the Ohio State Marching band and we play “Floating Down the River (on the Ohio). It is IMO, the best college marching band in the country with a rich tradition of great discipline and shows. I was in it while at Ohio State University. 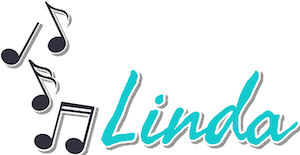 It is a great way to show a different kind of music to them and they really enjoy it. 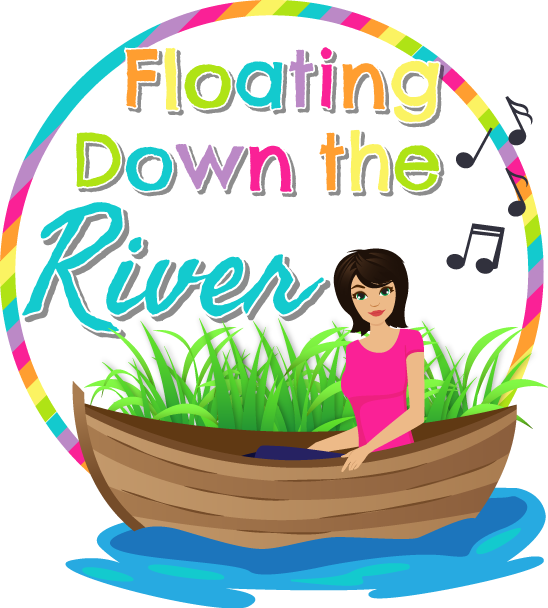 See my post about how to play “Floating Down the River” and how to make delicious Buckeyes. 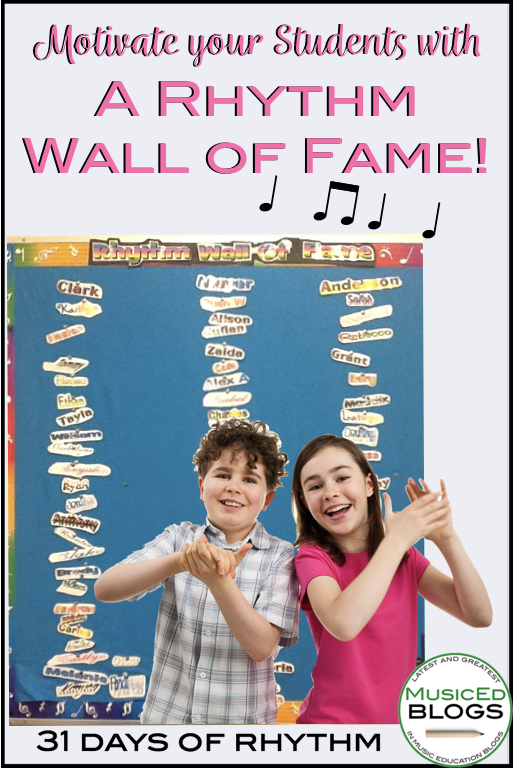 I have printed out the title “Rhythm Wall of Fame” for a bulletin board. Get the title for FREE HERE. Since no one else is going to have my old program, I thought of a way you can make your own names for your board. Many Clip artists on Teachers Pay Teachers have free alphabet letters. You could just choose a few for your students, and print them colored or let the students color them to make their own unique name. I searched for some of those for you. There are so really fun ones for you to choose from. Find some fun free alphabet letters for your students here. 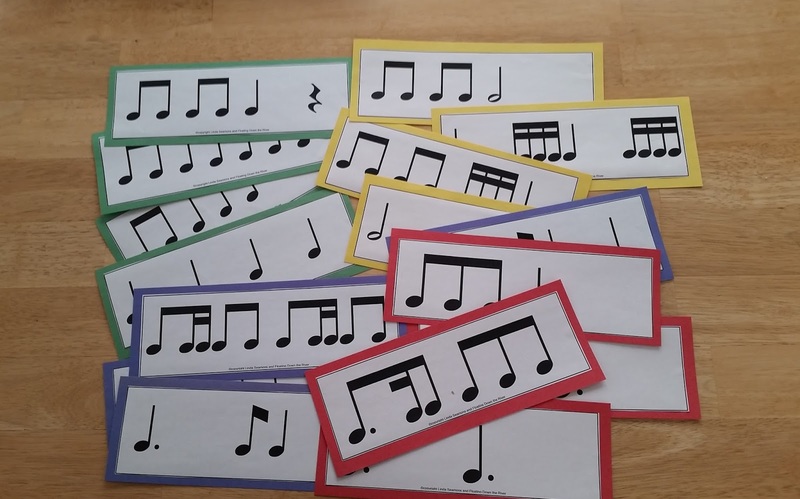 I use rhythm patterns that I color code by backing them with colored construction paper. I use a different color for each grade. 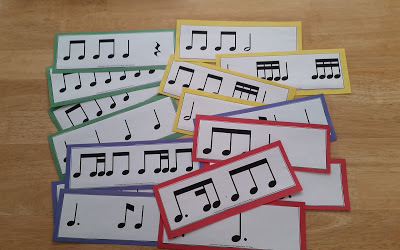 See my simple rhythm cards. Copyright © 2018 — Floating Down the River • All rights reserved.